located in the greater east end community of Houston, Texas. Our commitment is to providing quality, affordable, and convenient veterinary care for your pets. Thank you for choosing Gulfgate Animal Hospital. We know what an important role your pet plays in your family and we treat your pet as if they were a member of our family. It is our pleasure to become your partner in providing your pet's health care. *Select veterinarians only. Please call for more information and appointment. *Surgeries and Dental are performed by appointment only. Please call for information. We will be closed on Monday, May 27, in observance of the Memorial Day holiday. 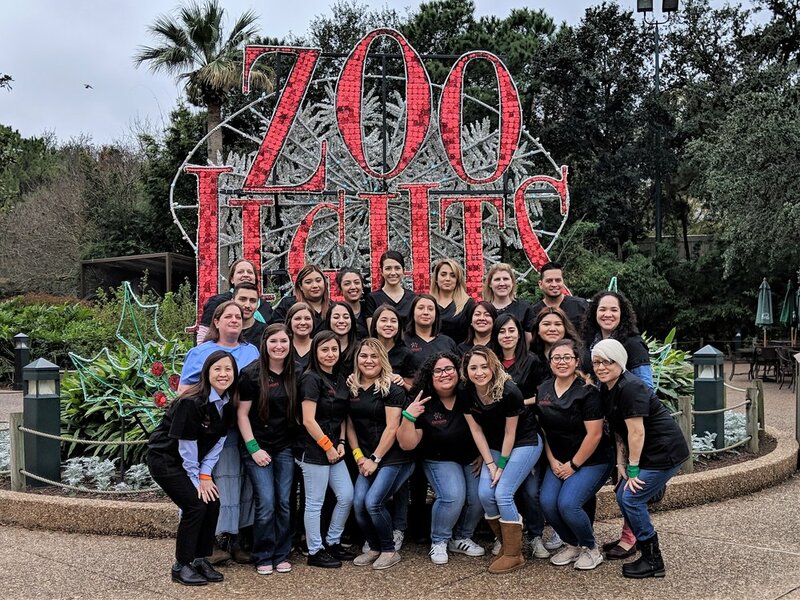 Staff meeting & scavenger hunt at the Houston Zoo. Staff meeting & lunch at Monument Inn.